Shouldn’t a camera company be aware that a picture’s worth a thousand words? 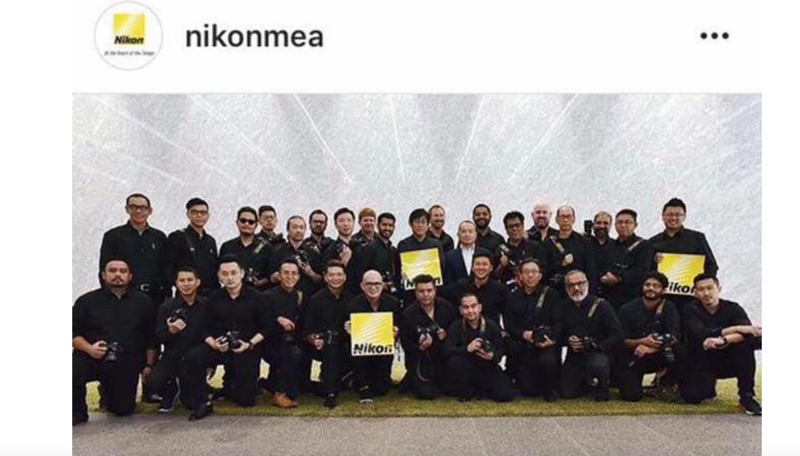 The New York Times reported on Thursday that Nikon has faced some heat in the last couple days after enlisting 32 male photographers from Asia, Africa and the Middle East to appear in an ad campaign for one of their cameras. There wasn’t a woman among them. Several people, including photographers who might have been asked, quickly noticed the obvious oversight and called Nikon out on it. To which Nikon replied with a rather unconvincing statement: “Unfortunately, the female photographers we had invited for this meet were unable to attend, and we acknowledge that we had not put enough of a focus in this area.” So…this is the female photographers’ fault? Cool. The New York Times reported that women are underrepresented both in the Nikon offices and by some industry measures of photographic excellence. In February, the Times reported that women’s work makes up about 15 percent of submissions to the World Press Photo Awards. At Nikon, women make up 10.6 percent of employees, and only 4.7 percent of managers.